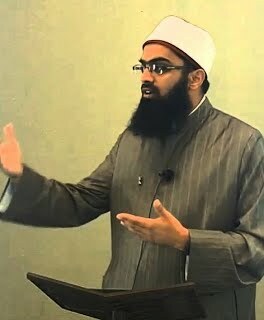 Shaykh Arsalan Haque was born in Pakistan and raised in College Station, Texas. He graduated from Texas A&M University in 2001 with a bachelor’s degree in Biochemistry. After working for a few years in Houston, he traveled to Damascus, where he studied the Arabic language and other Islamic sciences for two years. In 2007, he moved to Cairo to further his pursuit of the sacred sciences, and graduated with a bachelor’s degree from the College of Sharia at al-Azhar University. During his stay in the Middle East, he was blessed to study with scholars from all over the world, including Syria, Egypt, Yemen, and the Indian subcontinent, receiving teaching licenses [ijazat] from them in Quranic Recitation, Hadith, Shafii Fiqh, Usul al-Fiqh, and Tasawwuf. After returning to the United States in 2013, he served as the Assistant Imam of the Muslim Community of Troy, and the Resident Imam of the Islamic Association of Allen. He currently serves as the Resident Scholar of the Islamic Association of Collin County and the Director of Taqwa Seminary. He is married with two sons.